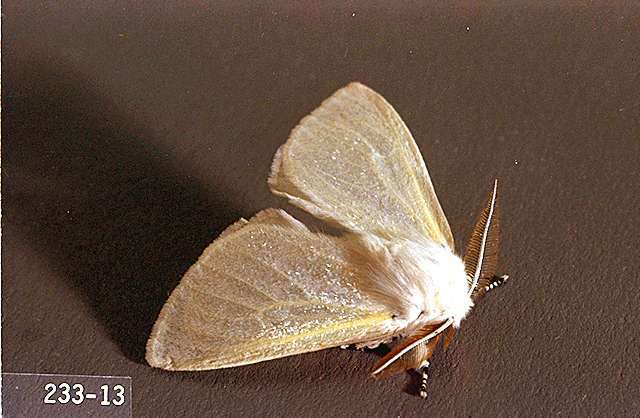 Pest description and damage The adult moth is satiny white with black markings on the legs. 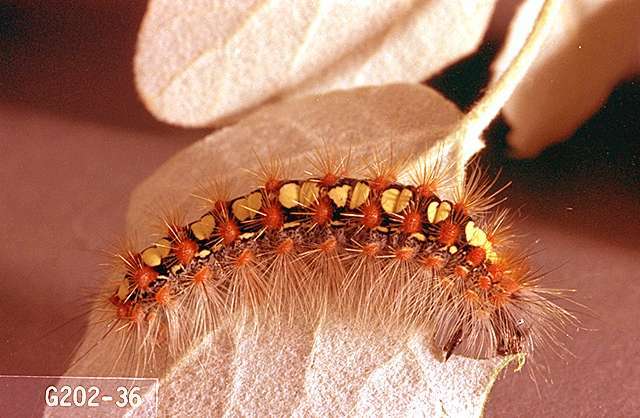 The attractive larvae are approximately 2 inches long when grown and reddish brown with double white dorsal patches and tufts of hairs along the sides. 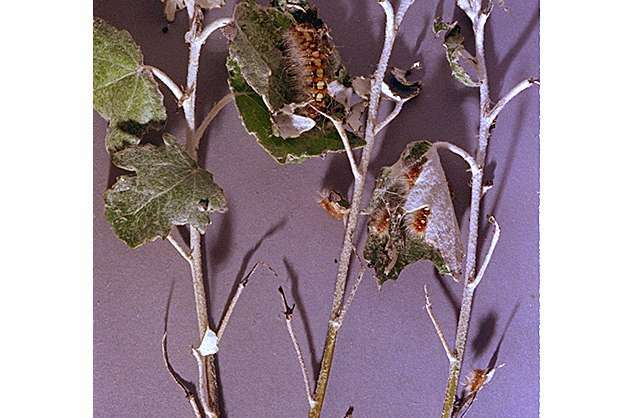 They can seriously skeletonize then defoliate cottonwood, poplar, and willow. They occasionally attack oak and aspen. 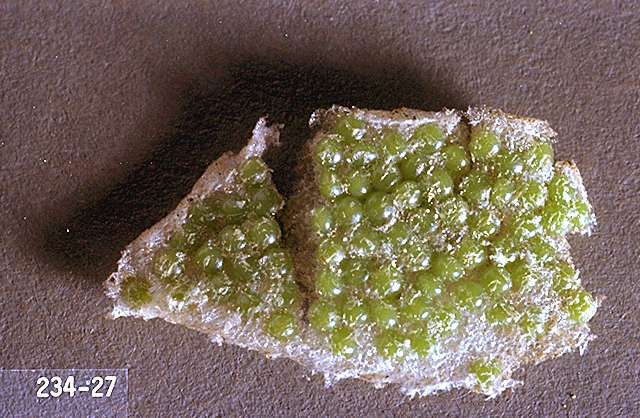 Lombardy poplar and silver maple are particularly susceptible.